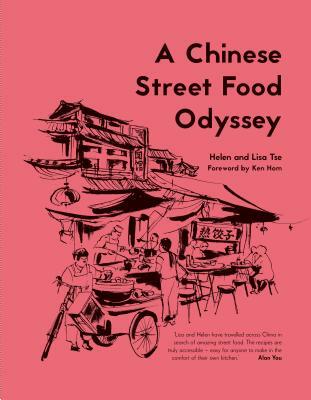 This beautiful book offers a real insight into the street food cultures of China and vividly evokes the smells and sounds of the markets. Over 100 recipes and a wealth of stories and insight into cooking methods bring this cuisine to life. All recipes have been carefully chosen to be achievable for the western cook. Helen and Lisa Tse have set out to encapsulate that sense of excitement, awe, wonder and hunger for these morsels of street food: from soft fluffy bao, to hot fried chicken, from piping hot bowls of noodles, to coal-roasted squid, delicate tea eggs and bubble tea, this is food to truly excite the appetite and awaken a sense of adventure in the kitchen. Includes dual measures. Helen Tse and Lisa Tse became their family's third generation of restaurateurs when they opened Sweet Mandarin in Manchester. They are the authors of Sweet Mandarin Cookbook and Dim Sum, and Helen is the author of a memoir Sweet Mandarin, which was chosen by Barnes & Noble in their Great New Writer's Selection. Ken Hom is an award-winning chef whose books include Foolproof Chinese Cooking.